I have now the Doctor Theme installed on my wordpress site. If I buy the new Doctor+ theme will I have to make a lot of manual adjustments or not? Do I just have to select the Doctor+ theme as my new theme and everything will work? I bought dokter+ last year but I can’t update anymore. Why? After the last update it appears that portfolio’s aren’t shown (error 404, page not found) Is that a bug? i hae just checked our testing installation on WP Multisite and it seems that everything is working correctly. Perhaps there could be some issues with a 3rd party plugins if you have installed and activated them. Please have a try to deactivate them and find out whether it helps. I am interested in Doctor + as I am presently using Directory+ for a Medical Tourism website, however, it is missing some key features such the ability to do tabs on an item. Does the Doctor+ theme have items, like Directory? Can I link members to items (if they exist), or have multiple facilities? 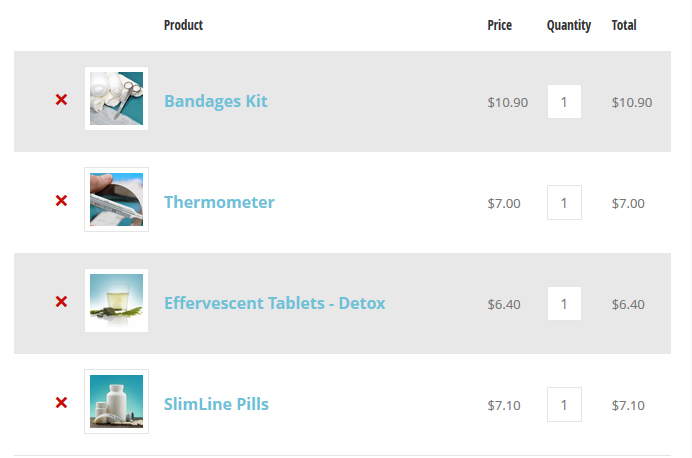 i bought Theme – Doctor+ from themeforest. you removed it from themeforest. i bought it in 12/2015,but when i try to download updates from ait-themes.club it says inactive. So there is no way to update our theme without purchasing the theme again, even once we have registered it with you? That’s totally outrageous. Does your theme use a templating language in the template files? So was anyone else successful in updating their website with AIT updater after the theme was removed from Envato? My AIT Updater is not updating the theme beyond version 1.46 and I have already removed the Envato updater… and checked the AIT Theme Updater’s credentials. Any help would be appreciated! please, kindly check the answer you have received via support forum – the reason must be concerned with some of 3rd party plugins that blocks AIT Updater plugin’s functionality. 1. Doctor+ theme can use 2 sidedbars blog page? 2. Can i have different blog pages that display only specific categories? 3. Theme comes with images / sliders examples included? 4. In many images i see an option “Job offers” as a feature element. Does this theme include this feature? 5. Maybe around 1 week ago, ive seen a special discount offer, 99$ for all themes. There will be a special discount soon? I would be interested into Doctor+ and Directory+ themes, plus some special made plugins. I bought this item in ThemeForest and no longer appears and I can not update the template. How I can update this template? 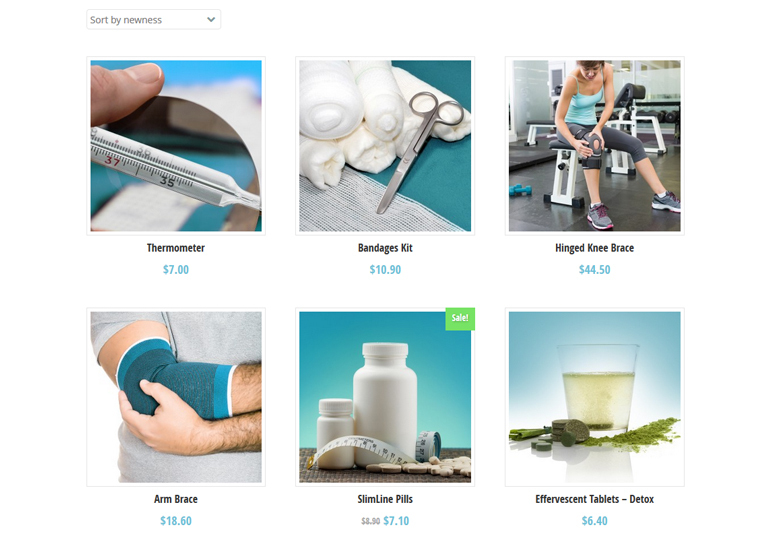 Theme is now available only at https://www.ait-themes.club/wordpress-themes/doctor2/ as the theme has been removed from Themeforest market place. thank you for compliments. Should you have any questions, feel free to contact us back. I bought the theme via Themeforest, but you stopped giving support there leaving me without support … why? I would like to use this theme, but I have a question about a booking-tool for the clients. 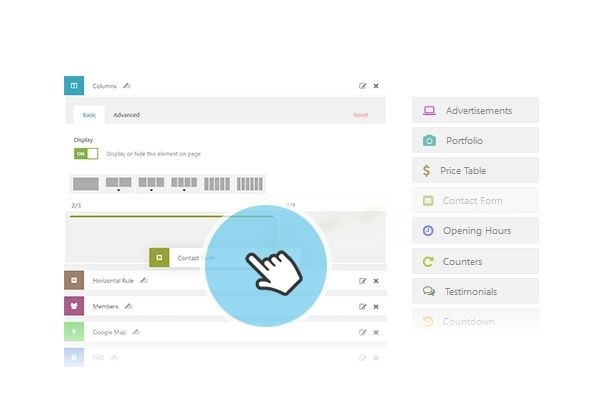 Do you have the built-in-possibility to use a plugin for reservation and resource management online? This would be a great advantage, because there are a lot of doctor-themes, but nothing with a reservation tool. Or could you give an advice for a working reservation plugin for the theme. As all themes comes with page builder, theme options etc, you can very easy manage/change the colors, layout, use pre-made custom post types and elements in order to create the similar look and feel of the website. that use Easyreservations.org plugin. Should you be interesting in detailed booking-features information, please contact their support forum. How can i download theme and update? I have the $99 membership , a steal really, and I need to do a website that lists doctors ave docotrs also write articles and answer questions. The idea is to encourage them to participate in exchange for exposure. Any ideas if it doable (off the shelf) by combining Business Dir+ with this or…? I am working on creating a website for driving lessons where customers can compare, review and buy lessons from individual instructors and schools. I wonder if this theme can do this. The user will enter their postcode (zip code) and a list of available instructors will show. They then can buy a package of driving lessons and choose a start date. They can leave a review upon completion. Is this applicable? thanks for interesting in Doctor+ theme. We are sorry, no one of our directory themes: https://www.ait-themes.club/wordpress-themes/directory-themes/ uses market place functionality, items don’t use pricing. Everything else as mentioned above is possible. Hi, i have doctor+ theme but i have big trouble with seo from descriptions. Web site does not take descriptions from page builder. when i search key words about my site descriptions are not coming, it show first sentence as description. only work main page all sub pages not working. is there any appointment theme is there? DOCTOR + : which are the difference between free and non free version ? thanks for asking. Free version of the theme don’t use AIT Toolkit plugin: https://www.ait-themes.club/wordpress-plugins/ait-elements-toolkit/ /no pre-made custom post types, no Elements to show them in Page Builder/. All you can do with free theme version is setting of colors and some basic functionality, in fact theme is suitable for personal use only (not ready for commercial purpose). Thanks for making this great theme! This last week I’m having a problem with the members panel in my frontpage. It used to work ok but I think after the last update the scrolling option on the members carousel is gone and while it used to look like on your promo, now it can’t be scrolled and the side members are larger than the middle member. At the page builder screen the on/off carousel option doesn’t exist. I already paid and use Doctor + but I can’t upgrade from my wordpress dashboard. Is there a time limit upgrade? Hello, i need to get more information about full membership. i am finding it extremely difficult to get my AIT Updater working…. I cannot find the place to put in Username and API credentials. I have purchased the full 12 month membership … PLEASE HELP ME TO GET THIS ERROR FIXED IT IS BECOMING A NIGHTMARE FOR ME. i KEEP GETTING THE BELOW MESSAGE. An error occurred while updating AIT Languages: Can not authenticate user due to incorrect AitThemes.Club API credentials or they were not provided. Make sure you have entered correct Username and API key. Is there a language plug for the Doctor theme? Arabic language? thanks for asking. We are sorry, we have not implemented Arabic language as we have no experiences with RTL design. I have Doctor+ v 1.42 installed and was working fine all this time. I updated to WP 4.7.5 and now its all greyed out. Cannot make any changes to Theme Options as clicking on Save Options does nothing. Any clues? thanks for asking. You should update your theme as there is the current supported theme version v 1.81. Should you be interesting to check out the changelog file that covers all the previous updates, please have a look at: https://www.ait-themes.club/wordpress-themes/doctor2/ -> at the right position under the header page. Hi, I bought the theme doctor+ some years ago and obviously I have V1.9 now. I tried to update also years ago and I crushed something while using the AIT languages Plugin. Now the theme is working but is restricted to it’s actual apearance. I can’t change the top-settings in the pagebuilder section and I can’t use multiple languages . Although, it is impossible for me to configure a new page. Do you think it is a problem of the theme or of the WP (using actual version) ? I’m thinking of a new setup.. but I am actually not sure, what to do? You write the actual version is v1.83 – and I have v1.9 – how can that be? Do I still have your support and can get the last stable version? I know, many questions, but eventually you could forward parts of it to the right person. thanks for your message. The fact is that the current supported theme version is v1.83. Could you please provide us of your user nam or registration email in order to let us trace up your account and have a look closer at mentioned issue regarding theme version v1.9? Anyhow, we have released some theme updates recently. Does this theme come with or need Visual Composer to operate? Sorry if this is a duplicate email, but I don’t think I received a response. Does the Doctor + theme come with WPBakery Visual Explorer? Or would I need to purchase this separately? We are sorry, WPBakery Visual Explorer is not available by default, even not tested on compatibility with our theme. I’m trying to update the Doctor+ theme previously purchased on Themeforest. Can I not just access the updated version or do you require a subscription for theme updates? Ola gostaria de saber se o valor de 99$ é vitalicio ou é anual? como posso ter essa informação. Estou utilizando o tema Doctor + e gostaria de saber se o Thema premium com todos os plugins de vocês Tem o recurso para eu criar uma area de membros ? se sim como posso ta contratando o serviço de vocês ? thanks for interesting in our products. Yes, Full Membership package comes with an access to support forum and access to product updates valid for a 1 year. After this period you are free to decide to prolong your subscription for the same price. Hi, do you have any wordpress themes for doctors/medical practitionaers that have Instagram plugins enabled? I didn’t get a reply.. I have a few questions.. Is the Doctor+ theme and all other themes Support MultiLanguages?? I would like the site to be in English and French.. Aslo I don’t see an option to view the site as Tablet and Phone mode..
yes, all the following themes: https://www.ait-themes.club/wordpress-themes/#translated-multilingual-themes are multilingual ready and compatible with AIT Languages plugin: https://www.ait-themes.club/multilingual-support/. Each of mentioned above themes comes with responsive design, feel free check out demo preview presentation on any smartphone. I have bought this theme from themeforest some time ago (2016-02-08 20:03:08 UTC). I have updated the theme, but last year the theme was removed by you from the themeforest website, and I could not update the theme. A few months ago the website was hacked and the theme was “destroyed”. As you see I am a doctor so I am not very familiar with hacking, and other stuff, but my friend that took care of the website told me that it was rendered useless and I should purchase another theme, because of the security of the theme I have. I have purchased this theme from you and I like it very much. Could you provide me the updates and security patches as promised when I have purchased the theme? I’m asked for the updated version. Do I have to repurchase it or can you provide it? 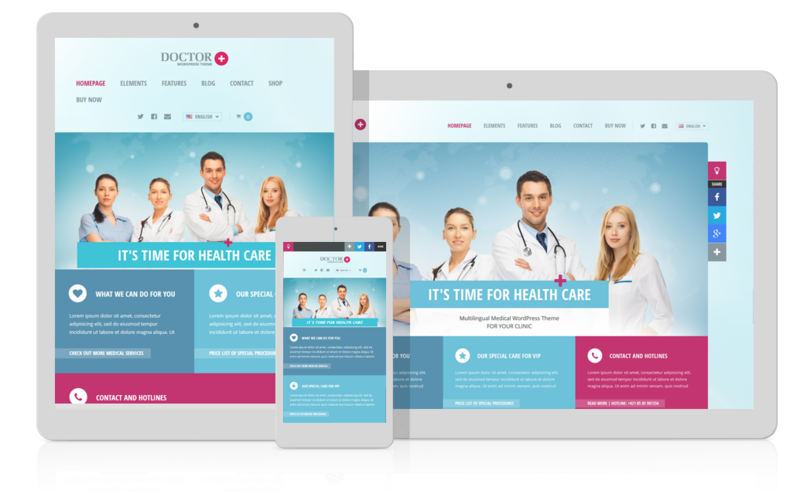 We have acquired the theme DOCTOR+ some years ago, in themeforest and I understand that now they are no longer there because we do not have support. We have a problem with the theme template in the Blog area, it is displayed with a source code error. I would like to know if buying the new version can update and correct that type of problem? thanks for asking and getting back on this. Definitely yes, in fact this is our core business to keep our products up-to-date. Should you have further questions, feel free contact us back. – v1.20 from 01.07.2015 – – Update: Minimum requirements for our themes and plugins are PHP 5.3.1 and WordPress 4.0. It’s time to use modern and secure technologies. Nevertheless, there have been released some updates regarding compatibility issues with the latest version of WoCommerce, Revolution Slider as well as with our AIT Languages plugin.